Creating community + encouraging creativity // We foster dreams & build habits of sincerity, one gathering at a time. Based in LA (but happy to work with anyone, anywhere!) AT THE LANE is a space for creating all kinds of things. 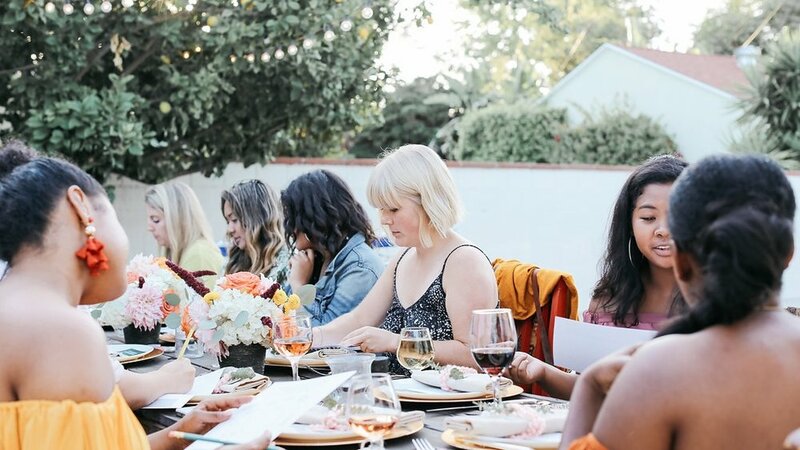 We host events to bring people together in genuine connection & work with clients to make their individual dreams a reality. We want to be your cheerleader, your partner, your confidant and your pal in your dreams. While also providing an inviting space where all are welcome to gather. Be the first to hear about new events at AT THE LANE by entering your e-mail address below!